Read, research and rebalance to successfully manage your stock portfolio. 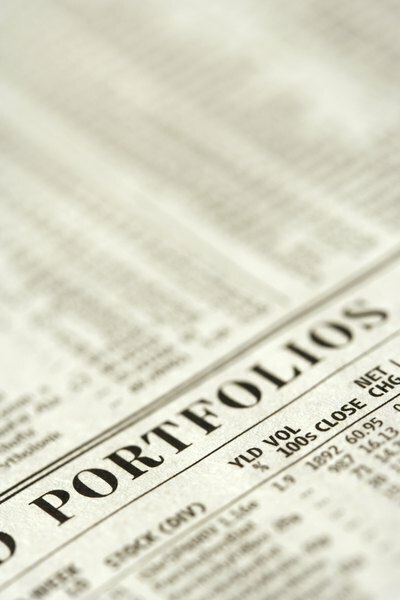 Assembling your first stock portfolio is an accomplishment for which you can be proud. It is, however, only a first step on the path to creating wealth. The next crucial step involves thinking about and creating a plan for managing and controlling your portfolio so it produces positive results. Time, information and an investment strategy that suits your risk-tolerance level are necessary to successfully manage and control a stock portfolio that works for you. Commit to putting in the time and energy it will take to successfully manage and control your own stock portfolio. Although even more time may be necessary when you are in the initial stages of learning, understand that managing a stock portfolio on your own will always take some time. Set up a weekly schedule that allows for information gathering. Focus not only on gathering information about the stock market, but also about the U.S. and world economies. Include time for analyzing and making adjustments to your portfolio when they become necessary and for researching and tracking stocks you may want to purchase in the future. Base your investment decisions on credible information. Read and study information available for free on websites such as the U.S. Securities and Exchange Commission, MarketWatch and Morningstar. Here you can get information ranging from the basics of investing to advice on researching and managing your portfolio to steps you can take to protect yourself from falling victim to investment fraud. Continue reading and studying and learn how to analyze the market, analyze stock charts and use charting tools. Establish rules that promote diversity but limit the number of stocks in your portfolio. Although diversity is essential, a smaller portfolio will make management and control tasks easier, especially in the beginning. For example, start by setting up a rule limiting your portfolio to a maximum of 10 stocks. Set up another that says you will not purchase a new stock until you sell one you already own. Maintain diversity within your portfolio by including rules for asset allocation in your investment strategy that follow your time frame for investing and are in line with your risk-tolerance level. Make it easier to decide when to sell a stock by setting a “sell” rule. For example, if your risk-tolerance level is low, set a rule saying you will sell any stock that falls more than 7 percent to 8 percent off its purchase price.